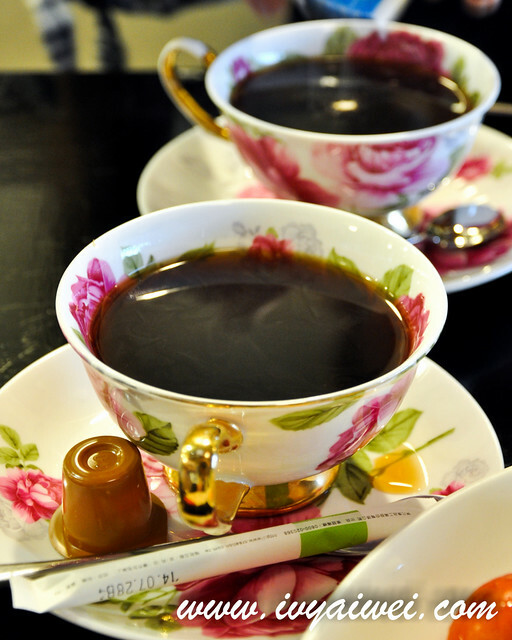 After a good night sleep at the B&B Windsor, it’s time to move on. 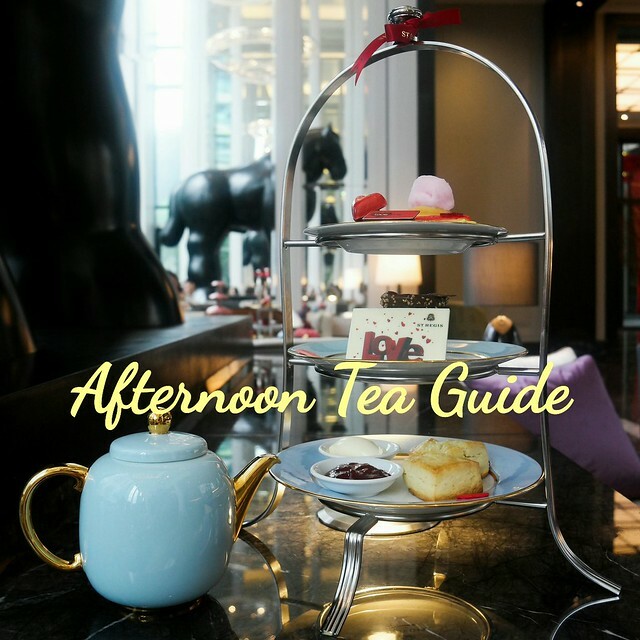 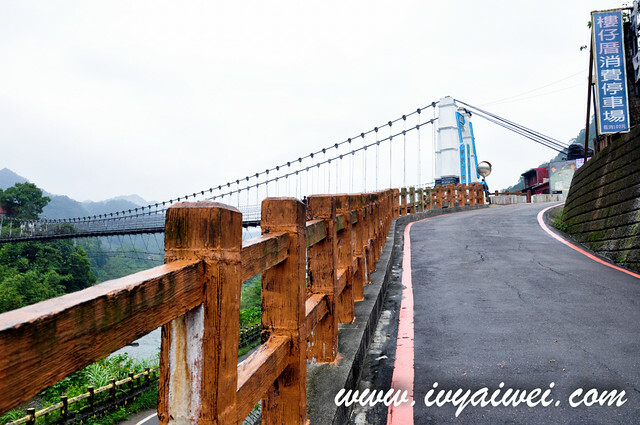 We took the energetic breakfast prepared by the B&B’s owner in her lobby café and took the last stroll around Jiu Fen before taking the pre-booked transport to ShiFen and JingTong. 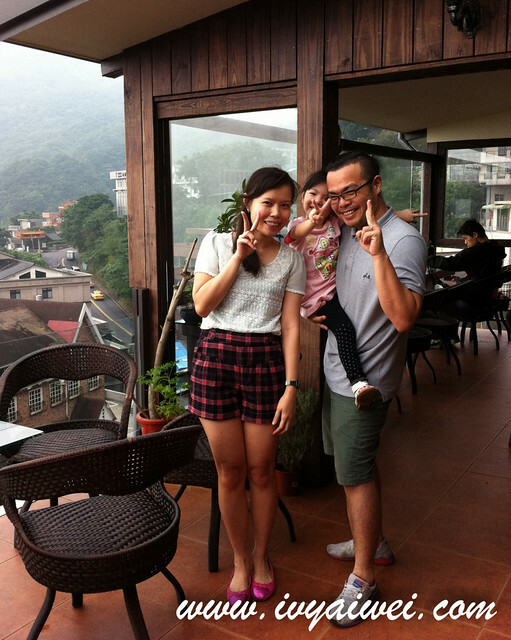 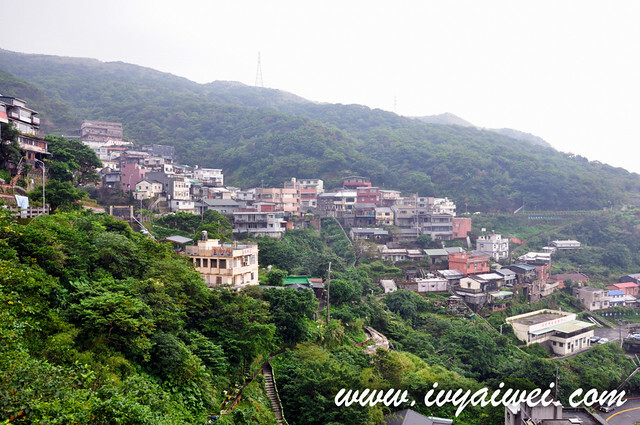 I also bumped into Blogger Kevin Tee and family up here in JiuFen. 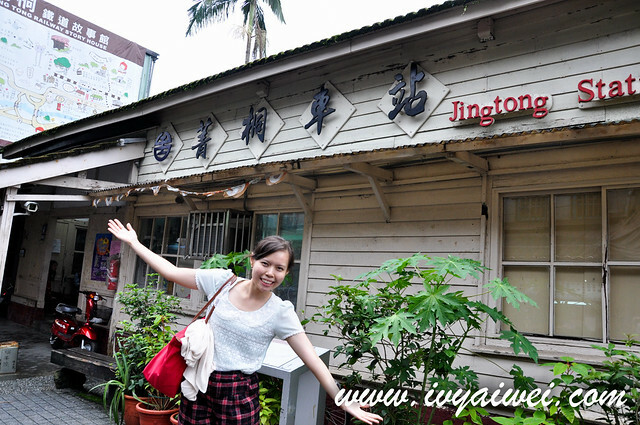 What a small small world!!! 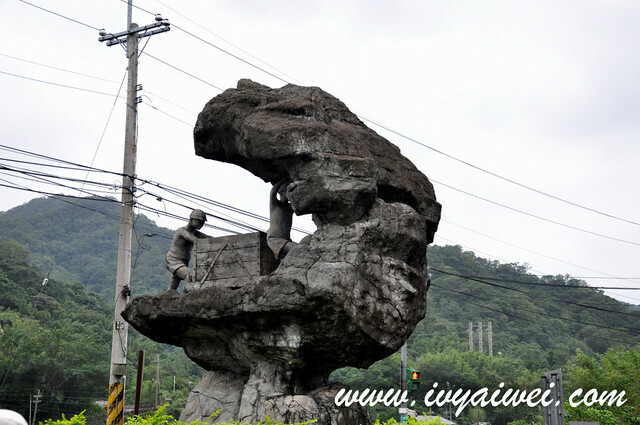 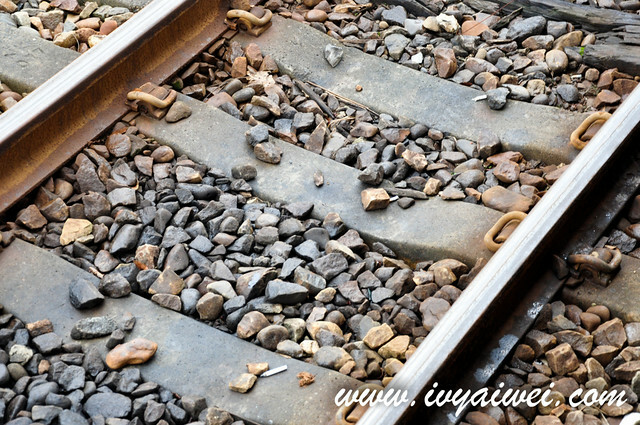 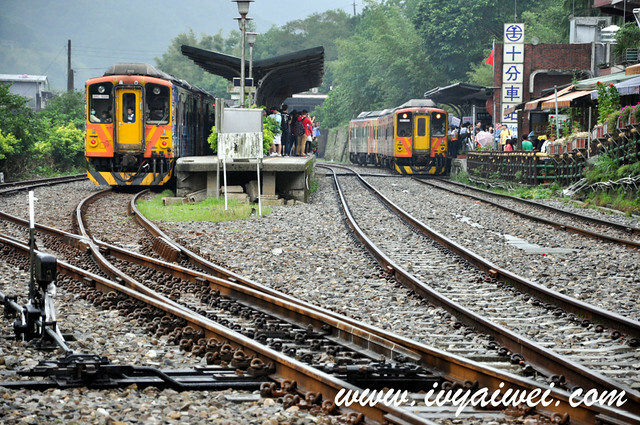 Travel along Ping Xi Branch Rail Line and you will get to stop by JingTong – PingXi – ShiFen, these few stops has become the tourist stops where one can take a mountainside strolls, fly a sky lantern after putting the wishes on it, explore more about their coal mining activities as well as the old railway. 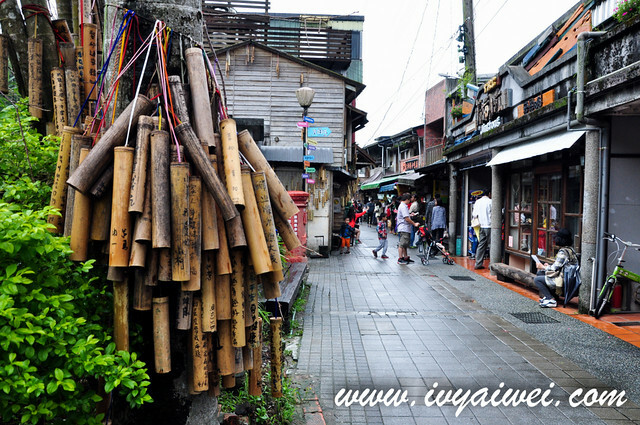 ShiFen is one of the busiest stops among all three and the Shifen Old Street 十份老街 has a special walking path for tourists to explore. 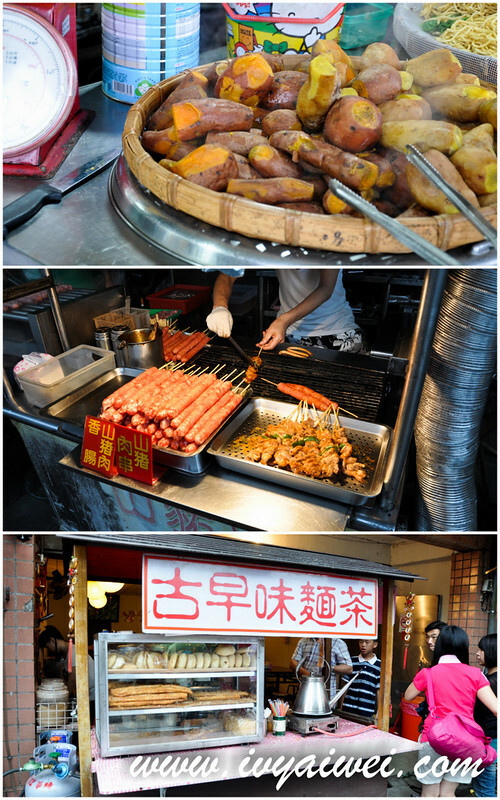 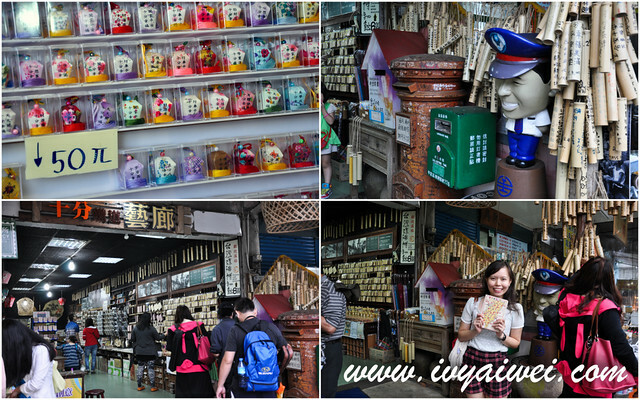 There are many souvenirs shops and food stalls along the street for one to check out and I find some of the souvenirs are much cheaper here too. 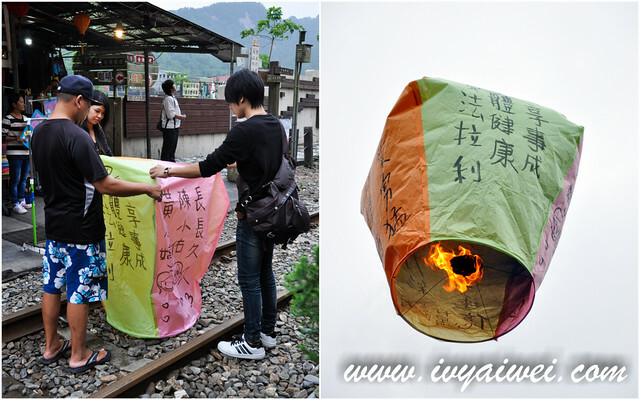 Do pick up the small lanterns and postcards for friends and family. 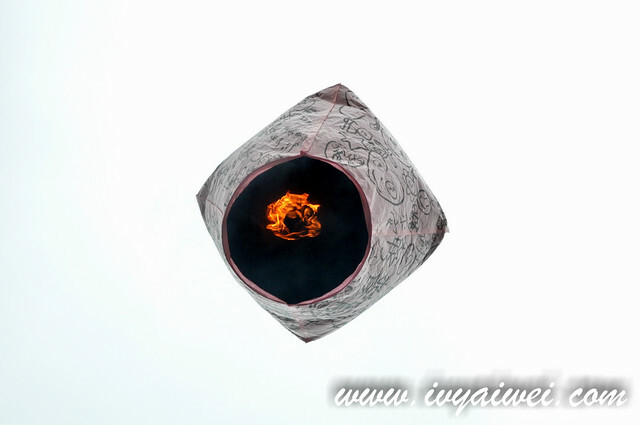 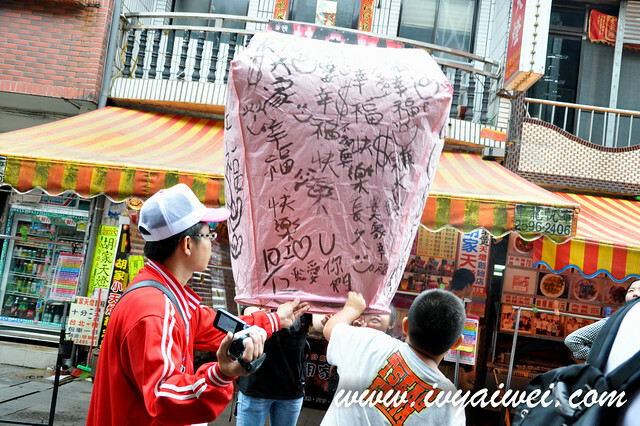 People believe that your wishes will come true when releasing the lanterns with your wishes on it into the sky. 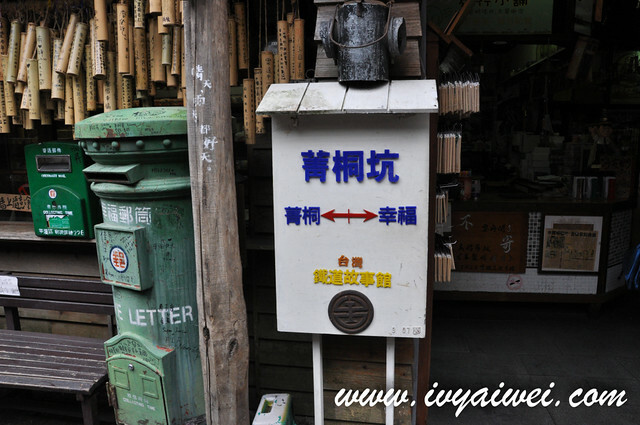 Hence, it is one of the must do activities when you are here in ShiFen. 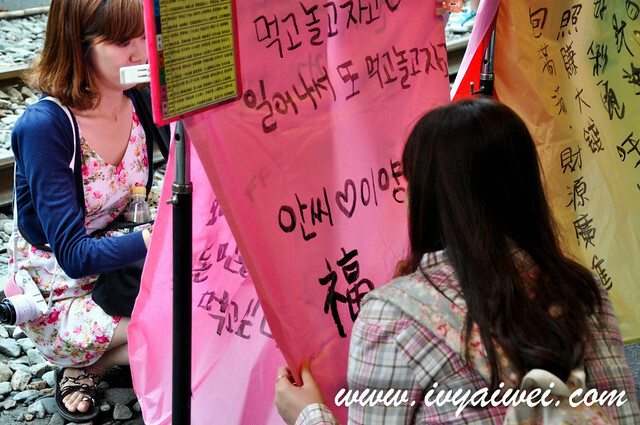 Even Koreans, they were putting their wishes on the lanterns. 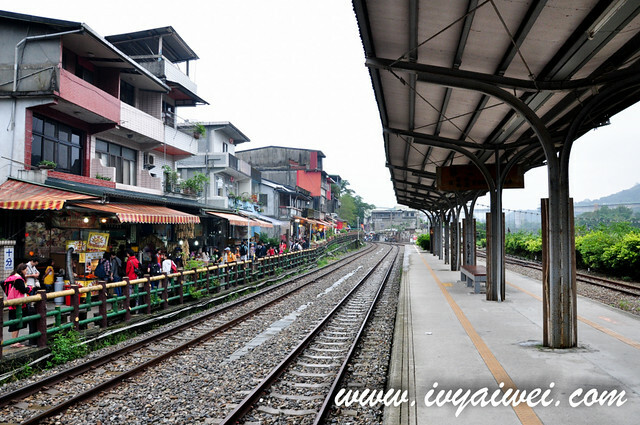 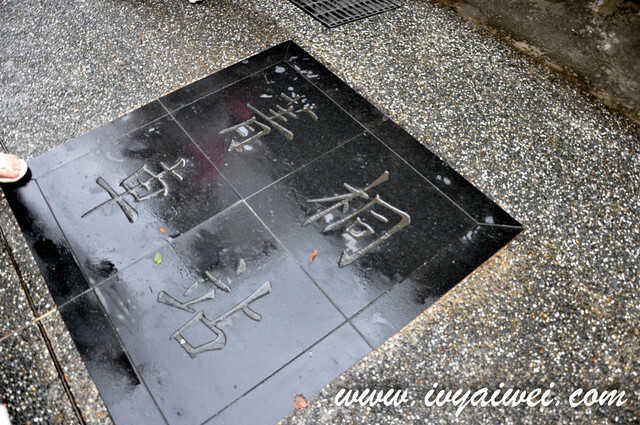 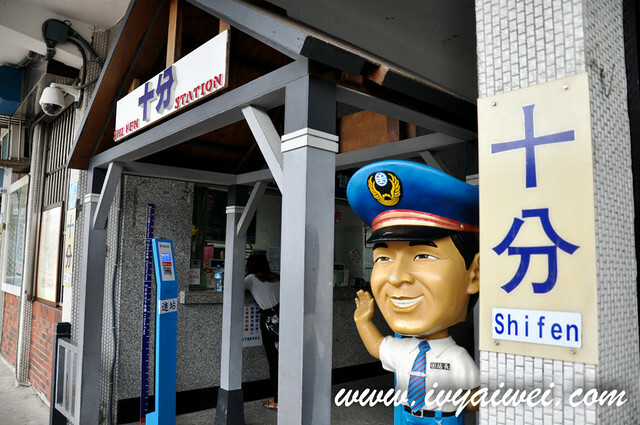 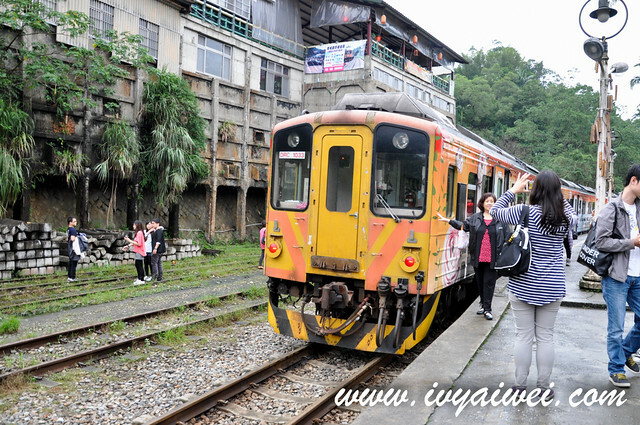 JingTong Train Station was build in 1931, a precious wooden-built train station in Taiwan. 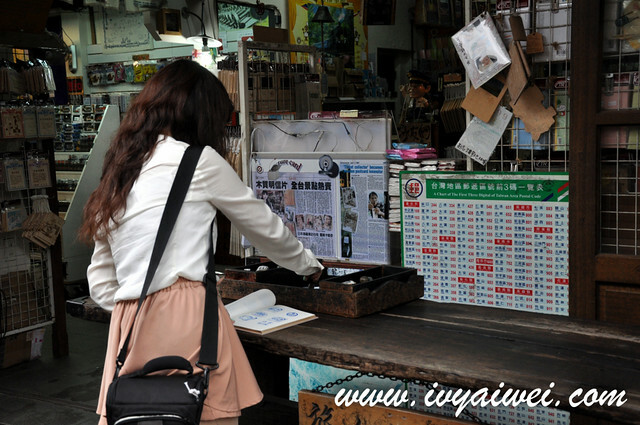 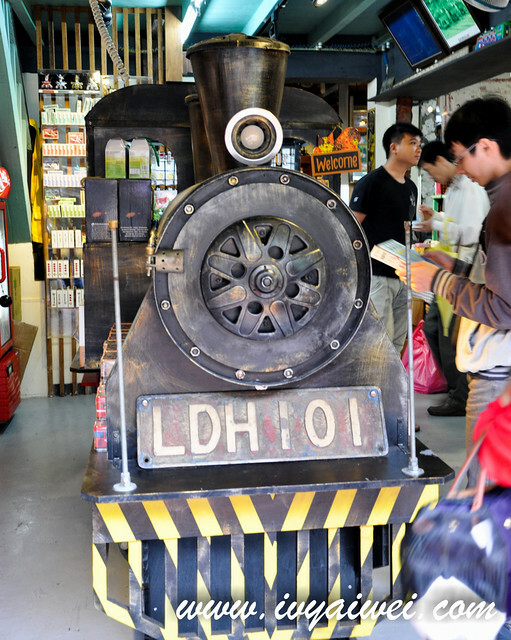 Nearby is the JingTong Train Story Museum, a wooden architecture with 2 storeys – A place where one could shop for souvenirs such as wooden postcards, nostalgic air tickets, train models, toy cars and many more. 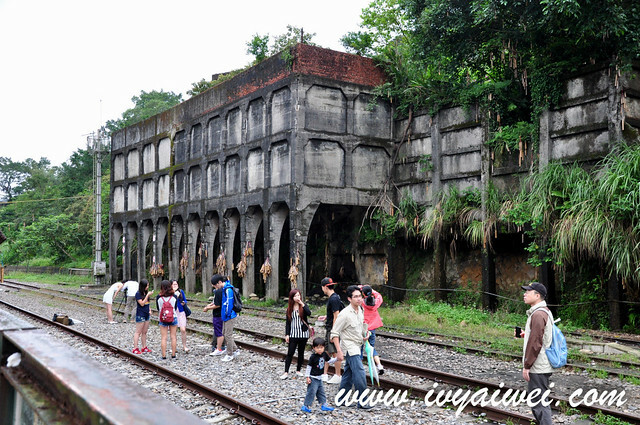 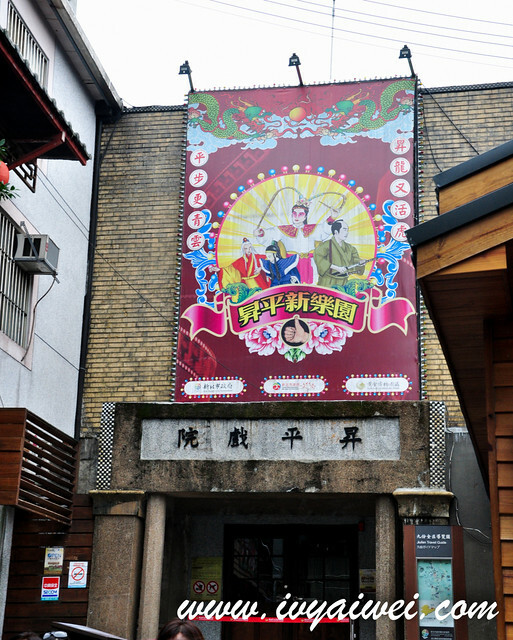 Not too far away is the JingTong Pit Museum, located along the railway of JingTong Station; it is a reconstructed of abandoned dormitory of Taiwan Railway Administration after the mining industry ended. 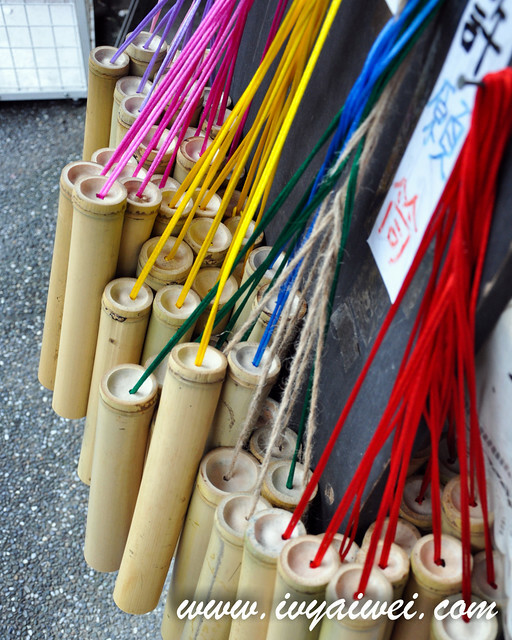 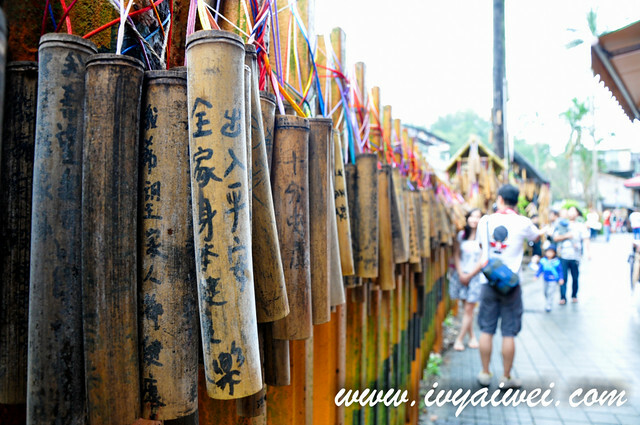 Write your wish on the Bamboo Roll and hang under the hut. 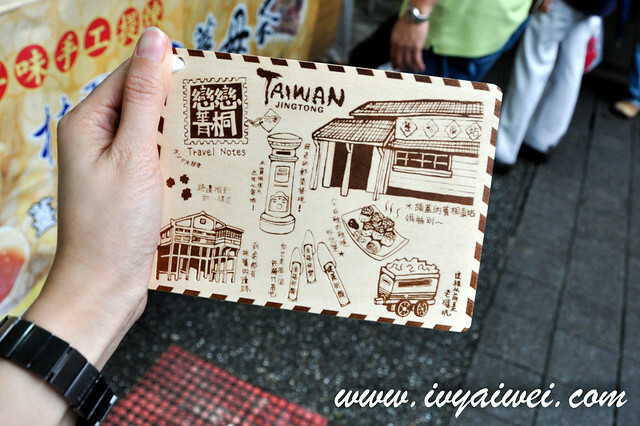 Souvenir wise, I picked up a wooden postcard which resembled everything about JingTong in one. 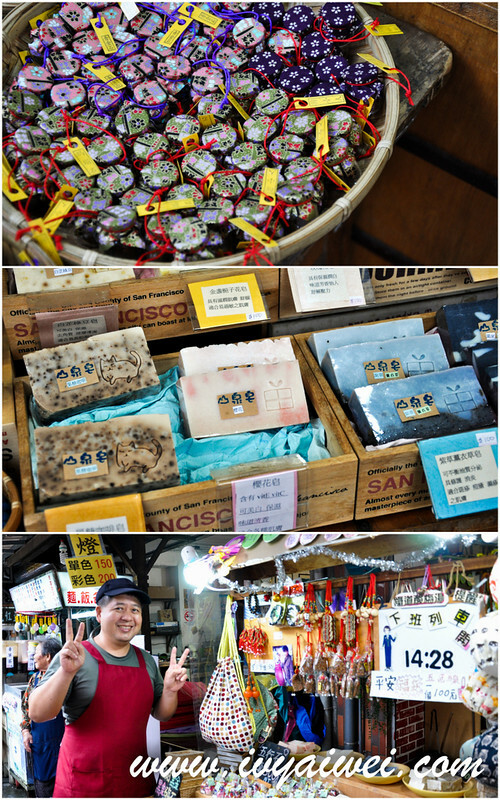 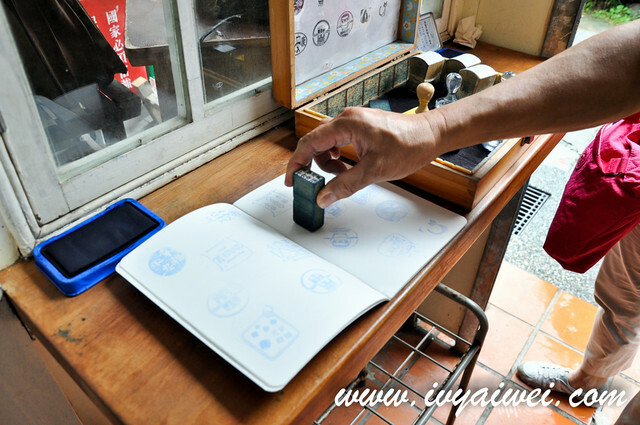 And also the handmade soaps by this friendly boss himself.